Kiwanis Clubs of Winnipeg – Manitoba Citizens' Bursary Fund for Aboriginal Peoples Annual Awards 2011. Links to other organizations offering bursaries will be added above as information becomes available. Students interested in applying for awards should directly contact the awards administrators of the organizations offering the bursaries. Contact information can be found on the respective links/websites. 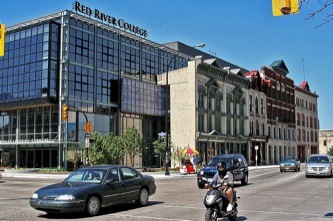 In 2009, for the first time, the Atoskiwin Training & Employment Centre (ATEC) in Nelson House offered post-secondary programs in Licensed Practical Nursing (LPN), First Year University Arts and a Mature Student Program. Due to a high number of incomplete applications for sponsorships received for past academic years, please note the following documents/information must be submitted along with your application form and other submission requirements as specified in the Post-secondary Sponsorship Program Guidebook or on the application forms. Because of difficulties contacting some applicants, your application package (Form B, P. 1) must contain an active email address as well as a cell phone number (if available). If you do not have an email address, you can create one at no cost at a number of websites including gmail.com, hotmail.com and others. PDF versions of the Sponsorship Guidebook and a revised Application Form containing this new information are available for download by clicking the links above in the right-hand column.